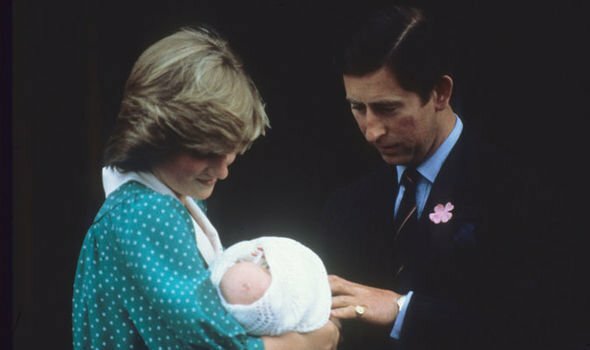 PRINCESS Diana rewrote royal history by choosing where she would give birth to Prince William, a royal author reveals. Princess Diana famously tried to give her boys Prince William and Prince Harry as much of a normal childhood as she could. 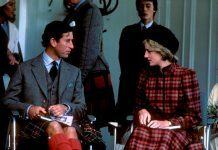 The late Princess of Wales rebelled against many royal rules with her hands-on approach to bringing up the two princes. Royal author Katie Nicholls reveals how this started even before Prince William’s birth, when Diana “wrote royal history” by refusing to give birth to the heir to the throne at Buckingham Palace. Ms Nicholls writes in her 2010 book ‘William and Harry’ about the circumstances surrounding Prince William’s birth. His brothers Princes Andrew and Edward were also born at Buckingham Palace, and the Queen gave birth to Princess Anne at St James’ Palace. She chose to give birth at the private Lindo Wing of St Mary’s hospital in Paddington, where Prince William was born on 21 June 1982, weighing seven pounds and one and a half ounces. Her unprecedented move broke a royal tradition that went back generations. The Queen’s great-great-grandmother Queen Victoria was born at Kensington Palace, in rooms just a floor above the Duke and Duchess of Cambridge’s current residence. Although the move was unexpected at the time, Diana’s choice set a new precedent for her son Prince William and his wife Kate Middleton. Kate, Duchess of Cambridge, has herself chosen the Lindo Wing to give birth to Prince George, Princess Charlotte and Prince Louis. Recently, royal commentators have wondered whether Meghan Markle will continue the tradition of giving birth at the Lindo Wing or not. With the Duchess of Sussex’s due date looming, Palace-watchers have suggested that she may choose Frimley Park Hospital instead, as it is close to the Duke and Duchess’ new home on the Frogmore estate in Windsor. 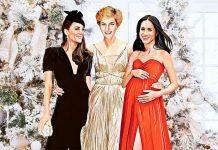 It has also been speculated that Prince Harry and the Duchess may even choose a home birth, which would tie in with the older royal custom. If the Duke and Duchess do choose a home birth, their baby will be in illustrious company. Prince Philip’s uncle, the last viceroy of India Louis Mountbatten, was born on the Frogmore House estate in 1900. The Queen herself was born at the home of her maternal grandparents, the Earl and Countess of Strathmore, in 1926. Was Princess Diana Expected To Marry Prince Andrew Instead of Prince Charles?